Mysuru: Even though the State Government had set Jan.1, 2018 as the deadline to start 17 subsidised Canteens in the district, that included 11 in the city alone, people need to wait for some more time. 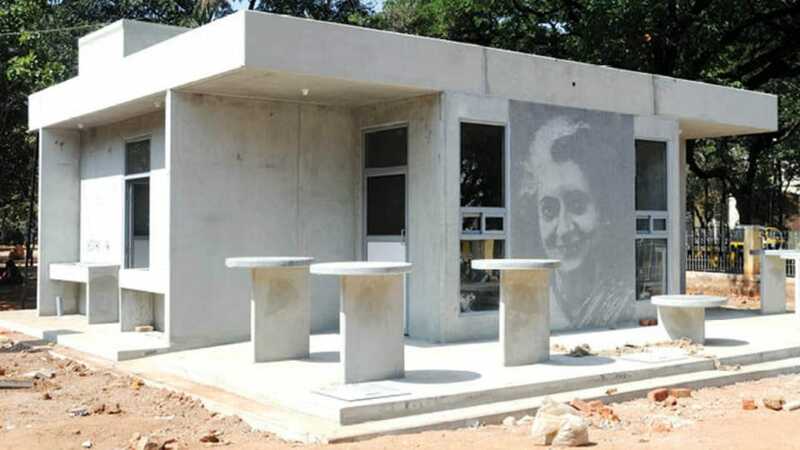 According to sources, if everything goes as per plan, Chief Minister Siddharamaiah will launch the Indira Canteens on Jan.11, when he visits the city to take part in a slew of programmes. But six canteens proposed in the Taluk headquarters are expected to take some more time. Meanwhile, the works on ten canteens in the city are completed and the works on the remaining one is expected to be completed by tomorrow (Jan.1) evening. The 11 canteens sanctioned for the city, will come up at K.R Hospital premises, KSRTC bus stand, city Railway Station, CADA office on Sayyaji Rao Road, PKTB Sanatorium on KRS road, Dr. Rajkumar Road, N.R. Mohalla, Vidyaranyapuram, Azeez Sait Nagar, T. Narasipur Road junction and Jodi Tenginamara Road near Highway circle. When contacted over phone this morning, MCC Commissioner G. Jagadeesha said that the works on ten of the 11 canteens in the city have been completed and the works on the remaining one will be completed by tomorrow evening. The tender for food supply to the Canteens has been finalised and the food contractor is from Bengaluru, who is serving to Indira Canteens in BBMP limits, he said and added that Chief Minister Siddharamaiah is likely to inaugurate the Canteens when he visits the city on Jan.11. Deputy Commissioner D. Randeep speaking to SOM, said that the district administration has received only one tender for supply of food to the canteens. The formalities of the contract will be finalised in a day or two.